This is a special development for use with our original Diskus padlocks . 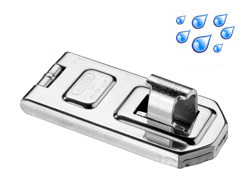 It is made from stainless steel and as such is a fully weatherproof marine grade product. 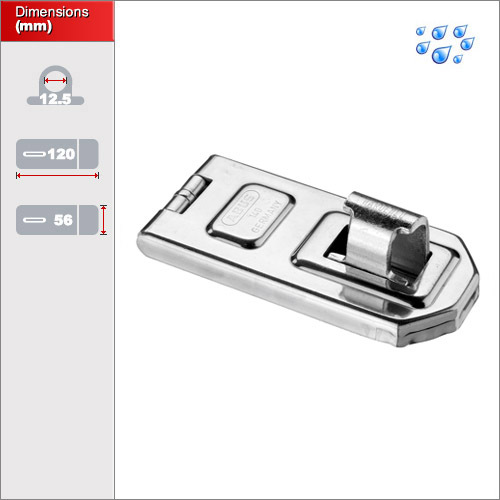 This product is designed for doors which close flush (door leaf and door frame are level). 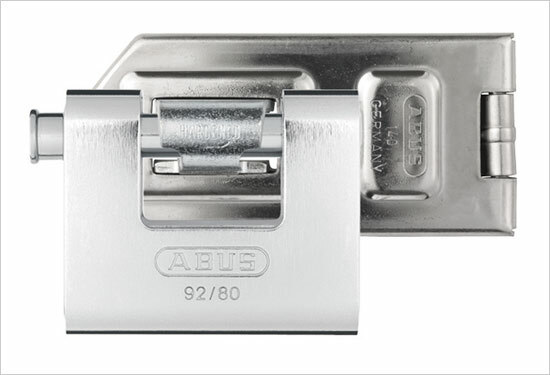 If you need to secure a hasp into a corner or at 90 degrees, then please see our hinged Hasp & Staples. 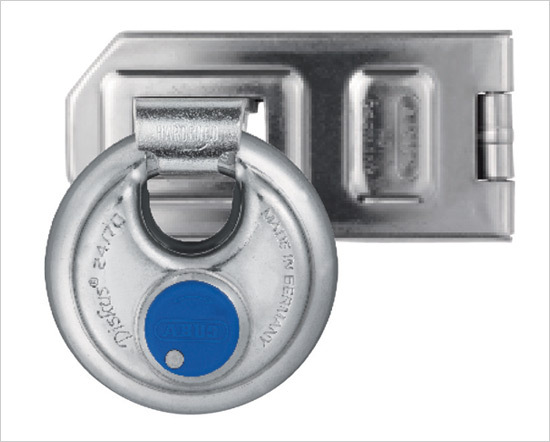 Note that it can be used perfectly well with most other open-shackle padlocks with a shackle diameter up to 12mm and comes with all necessary screws and fittings. Although this can be used with any padlock, the design is attuned to the original Diskus padlocks in such a way that the shackle is protected from unlocking tools, saw and force attacks. 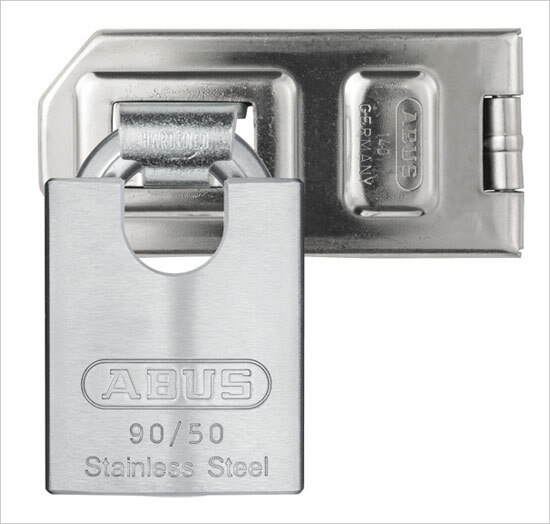 It is made from a sturdy steel construction with latch and joint pins made of tough, rustproof quality hardened steel. All joint pins come with tear-off resistance and concealed screws.